“Anyone But Me” co-creator Susan Miller on the challenges of creating a drama in a Web comedy world and striking a chord with viewers. Susan Miller, co-creator of hit drama Anyone But Me, is a Hollywood vet, having worked on shows including The L Word and Thirtysomething. But working in online TV has been a whole new education, complete with new challenges and new opportunities. We talked to her about it. 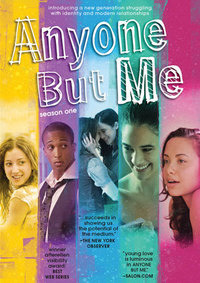 Fast Company: Anyone But Me has received a lot of praise for being a show about actual teens. How did you approach creating these characters? Susan Miller: In New York, after 9/11, young people became part of a much larger picture. We wanted to show their connection to the larger world, but through their personal stories. New York is the most vital, difficult, and marvelous place to live, and we very much wanted to have diverse characters to really reflect the streets of New York. We didn’t want to put young people in this rarified atmosphere of the fashion world of the privileged, 90210 world. FC: Your cast, especially Nicole Pacent and Rachael Hip-Flores, have really become break-out stars. What was the casting process like? SM: Tina [Cesa-Ward] and I had a blind casting call, and we were just blessed that these kids fresh out of college weren’t snapped up yet. Chemistry in a cast is so crucial, and once we found ours, we knew that we really had something. FC: A lot of Web content is comedy-heavy. What are the challenges of creating a drama? SM: At the Streamys, we were the only drama that was a finalist nominated for an audience choice award. It’s a little disheartening when you read articles that certain companies or sites want to emphasize comedy, because this is also an opportunity for us to make up for that lack of original drama. On the big screen, small screen–drama’s been replaced by either comedy or reality shows. It’s a little tougher to get absorbed as a drama. FC: What’s one of the most rewarding parts of working on this series? SM: We hoped for, but could not anticipate, the enormous personal engagement and response from followers. People have taken such a personal interest, and really feel that we’ve created stakes and situations that affect them. When we launched our first episode, we got 500 views, and I thought, ‘Wow, that’s great!’ And now we’ve had millions and millions of viewers.